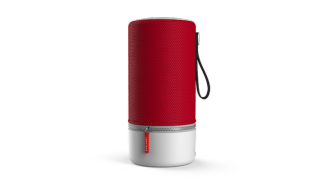 Libratone announces Zipp 2 and Zipp Mini 2 smart speakers with Alexa | What Hi-Fi? The latest models in the well-reviewed Zipp range also boast AirPlay 2 support and a 12-hour battery life. For years, Libratone’s Zipp wireless speakers have impressed not only with their full-bodied and entertaining 360-degree sound, but also their distinct clothed designs. So we can only hope the addition of new features (Amazon’s Alexa voice control, for one) in the new Zipp 2 (£279) and Zipp Mini 2 (£229) continue to take the range in the right direction. Alexa functionality will enable users of the new Zipps to control music playback and Alexa-enabled smart home devices and ask for information such as the weather, through voice commands. Like their predecessors, both new smart speakers also feature 360-degree ‘FullRoom’ sound, wi-fi and Bluetooth connectivity, in-app control and a very familiar modern aesthetic. Support for Apple's AirPlay 2 enables the user to connect up to 10 compatible speakers in a multi-room environment, too, while their built-in battery allows for 12 hours of music playback from a single charge. The Zipp 2 and Zipp Mini 2 will be available in a range of colours - including black and red - from October.